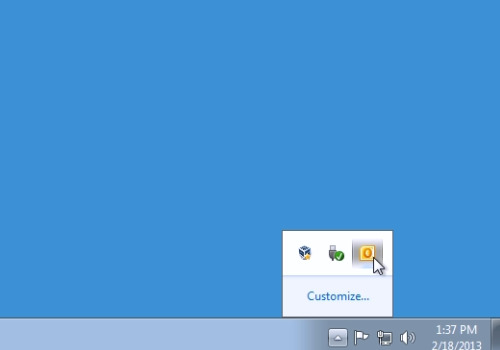 In this video tutorial we will show you how to minimize outlook to tray. Launch the Microsoft Outlook. 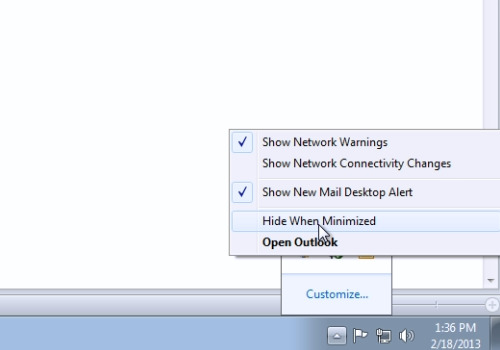 Right-click on the Outlook icon and choose the “Hide When Minimized” option. In a moment you will see the popup message that you have selected “Hide When Minimized” and when the Outlook window is minimized, you can restore it by clicking on the system tray icon. Minimize the Outlook window, then go to system tray and double-click on the Outlook icon to open it.